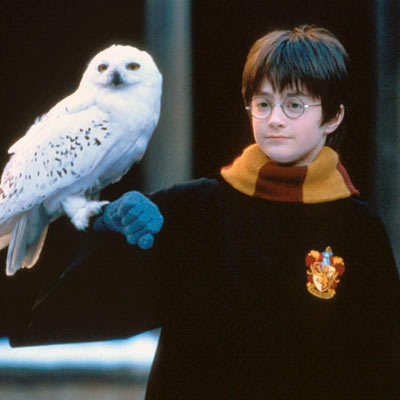 Have you ever watched Harry Potter and thought to yourself, is it really possible to deliver messages by attaching a message to an owl? You bet it is! Except not the owl part. Pigeon posts, believe it or not, have been in use for over 3,000 years, beginning with the Egyptians and Persians and are still in use today to provide emergency communication services following natural disasters. However, not just any old ordinary pigeon is fit to deliver messages. Pigeons are the oldest domesticated bird. Humans have selectively bred a certain variety of domestic pigeon to find its way home over extremely long distances, called homing pigeons. No matter where you place a pigeon, whether it be in Boston, California, or even Canada, homing pigeons taken from their lofts and released as far away as 1,000 km in unfamiliar territory will return home. You’re probably wondering, how does a bird taken from it’s loft in Boston find its way back from Mexico? It is one of the great mysteries of nature that has baffled the minds of many a scientist since the dawn of time. (not really) This phenomena has been studied extensively and many theories have been proposed thus far. 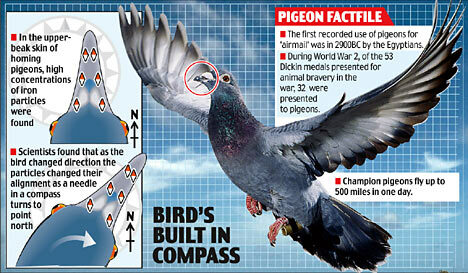 In this article we will analyze each of them and discover the truth behind the pigeon post! The first theory proposed in 2004 by British scientists, states that pigeons find their way home by recognizing familiar landmarks. 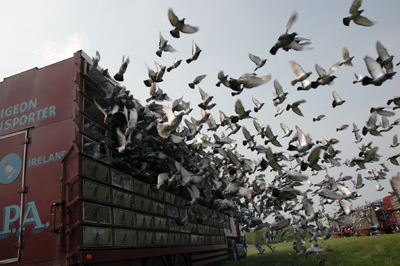 Research has shown that pigeons often follow both natural and manmade structures such as highways and roads, even if it means taking the longer path. Rather than going in the exact direction of their loft they will use landmarks as a guideline, turning at streets and roundabouts just like someone going home in a car would. The only problem with this theory is that it doesn’t explain how pigeons are able to find their way back home when placed in unfamiliar territory. If the pigeon has never seen the way back, how would it recognize those landmarks and structures needed to guide them back home? A carrier pigeon carrying information being released from a British tank, France, 1918. That leads us to the next theory which suggests that pigeons have their own internal clock and compare it to the direction of the sun to find out the direction of their loft. Researchers have tested this theory by exposing pigeons to a bright light for a period of time, disorientating them from the actual position of the sun. Low and behold, the pigeons were unable to find their way back home. This must mean that pigeons only rely on an internal clock right? Wrong! Further experiments have proved that birds actually follow their nose. Scientists snipped off the ends of pigeon’s beaks and proved that without their beaks, pigeons are unable to find their way back home. This evidence led people to believe that pigeons created their own odor map and sniffed their way back home. But again, if it was unfamiliar territory there would be no odor map to follow! 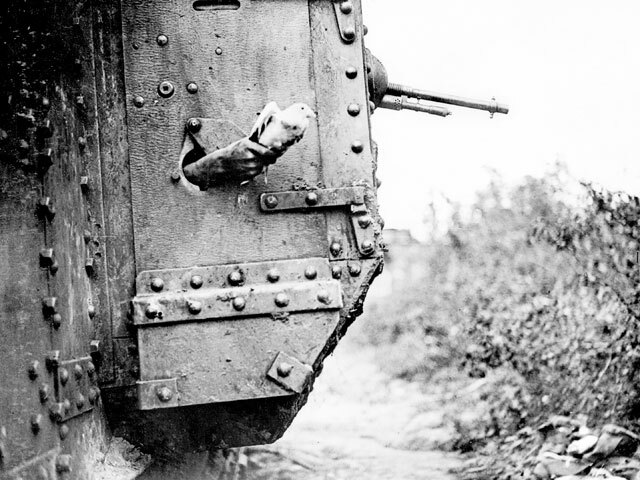 Further analysis of the beak revealed the secret mechanism behind the pigeon’s innate ability to serve as mailmen. Inside the beak were little pieces of iron that served as a compass! This allowed them to use the earth’s magnetic field to find the direction needed to get back to their loft. It turns out that pigeons use landmarks and structures to find their way back when they are close to their loft and in familiar territory. And use a combination of an internal clock and an internal compass to find their way back over long distances and over unfamiliar territories. Pigeons are so good at finding their way back home, it’s even considered a sport in many parts of the world including Belgium! Pigeon racing pits pigeon against pigeon in an intense timed race back to their loft. Completely cracked me up with your very clever turns of phrases! I feel bad for the pigeons that got their beaks cut off, but pleased at the discovery that resulted. It’s still not clear though, if they use the Earth’s magnetism (which will only tell them “which way is North”), don’t they need to somehow know which direction is home? I liked the reference you made to Harry Potter; it gave me a warm,nostalgic feeling. I wondered for a long time about how the pigeon was able to find their way home to strange places and now I know.